It is with great sadness that we announce the death of our mother, Lenore Juco, on November 23, 2018 in Frederick, Maryland at the age of 83. We are comforted by the fact that she died very peacefully and in the loving presence of her youngest daughter, Elizabeth. She was born on March 1st, 1935, in Chicago, Illinois, the youngest of the five daughters of Dominic and Josephine Nitti. After graduating from Jones Commercial High School in 1953, she decided to forgo work as a secretary and instead pursued a career in nursing. It was while working as a surgical nurse at Norwegian American Hospital in Chicago that she met her future husband, Francisco Juco, a surgical resident from the Philippines. They married in 1960 and in 1963, settled in Peoria, Illinois. It was there that they raised their family, made lifelong friends, and put down roots in the community. During her many years in Peoria, Lenore had, at various times, been President of the Peoria Medical Auxiliary, a member of the Altar and Rosary Society, member of the League of Women Voters, and the most enthusiastic choir member of any church in which she was then a member. She played bridge all her life with her oldest girlfriends and enjoyed tennis and long walks on Mossville Road. She also loved books and reading, singing and playing the piano, and - - as her many friends from those days will attest - - cooking and entertaining. It was from watching Lenore and Frank host a lifetime of dinners and gatherings with friends, that their three daughters learned how to throw a good party. As a mother, she was unfailingly supportive - always willing to drive to Chicago at the drop of a hat if one of her kids needed her. She was also patient and forgiving, rarely critical, and was often hilarious with a great sense of humor. She showed the same patience and love to her grandchildren - allowing them to hang their American Girl doll clothes, scatter legos, drape wet swimming suits and towels, and set up train sets all over her beautifully decorated home during the holidays. To this day, her grandchildrens’ fondest memories are of summers and holidays spent with “Nonnie and Bapoo” at their home on Mossville Road with Bapoo playing the pied piper and Nonnie doing all of the behind the scenes cooking, cleaning, and errand running. In her later years, when she moved to Maryland to be closer to her youngest daughter, Lenore was attended to with love and devotion by her caregivers: Suzi Rummel, Shirley Barton, Tammy Sherrard and Denise Gindlesperger, true angels to whom the family can never fully express their gratitude. 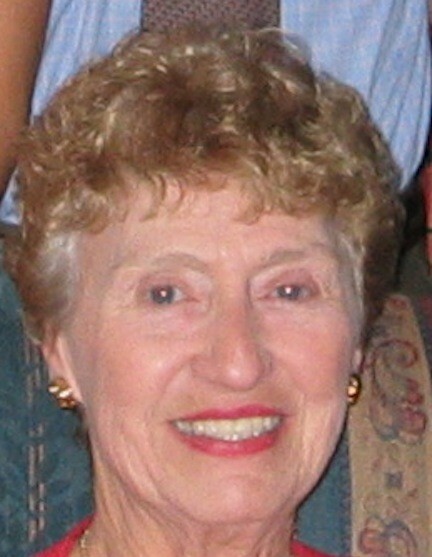 She was predeceased by Frank, her husband of 44 years, and is survived by her daughters Elizabeth and son-in-law Ralph DeRose, Jennifer and son-in-law James Hickey, and Cynthia and son-in-law- Paul Scrudato; 10 grandchildren; and numerous nieces and nephews with whom she remained close during her active years. Mom, we will miss your beautiful smile, your wonderful laugh, those blue eyes that none of us inherited, and the unconditional love that you gave to us all of our lives. When we think of you, you are standing in the kitchen on Christmas Eve, frying calamari, and laughing. A funeral mass will be held at 12 Noon on December 20th at St. Michael’s Church in Wheaton, Illinois. (Visitation immediately prior: 11a.m.-12 p.m.) Friends and family are invited to join us in a celebration of Lenore’s life at a luncheon immediately following the Mass. In lieu of flowers, contributions in her memory may be made to The Alzheimer’s Association: act.alz.org/donate.